A passenger train collided with a family car in 1913, killing a mother and a firstborn son. Out of that tragedy, a small church of farmers, factory workers, carpenters, and teachers formed in a northwestern Ohio town. 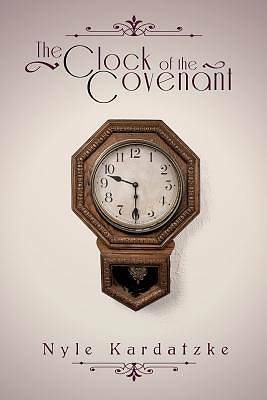 One Sunday in 1945, a young boy thought he heard his minister say that God's people had carried the promises of God wherever they went in the "clock of the covenant" and assumed it was the very clock that hung in the boy's church in Elmore, Ohio. That revelation and the boy's best memories about that small church, its people, and their ways of "doing church" in postwar America became the basis for this collection of stories, The Clock of the Covenant. The book includes comical stories ("Grandpa Webert's Pants" and "Saying Amen in Church"), historical events ("When the Trumpet Sounded" and "The Hundred-Year-Old Man"), and serious descriptions of church beliefs and practices ("Grandpa Comes to God" and "Baptism in the Portage River") and more. Included also are stories about the lives of "saints" who attended the church, veterans who struggled with the aftermath of their war experiences, and a few people whose paths through life seldom brought them to church. Stories of tragedies that changed people's lives, dangers evaded, and farm accidents are intermixed with joyful memories of summer church picnics, the Christmas treat, and childhood misdeeds. AUTHOR NYLE KARDATZKE lives and writes in Indianapolis, Indiana. Trained as an economist, his most memorable career years were serving as a headmaster in private schools. This book is his third.